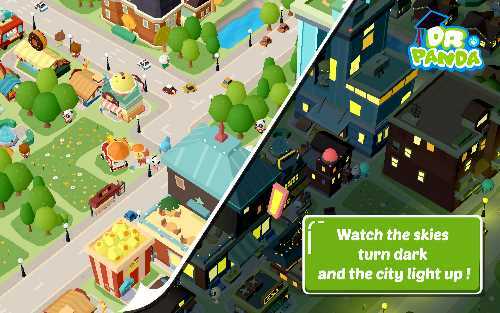 This app makes designing your own city an exciting and creative adventure that all kids will enjoy. 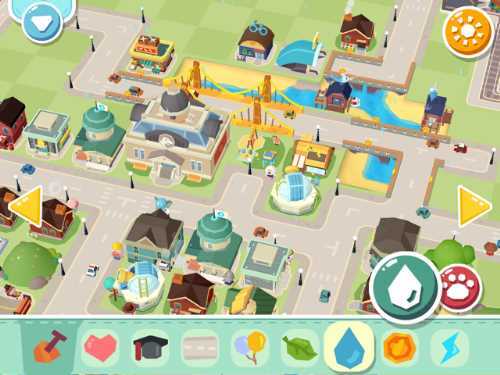 Hoopa City 2 is a simulation game where kids design their own cities. The app provides kids with a gridded workplace and building materials from which to create roads, train tracks, and 60 different buildings. The eight building materials are displayed across the bottom of the page with icons. When you tap an icon and then an empty square, a building or structure erupts from the ground. By tapping the square a second or sometimes a third time with the same or different building materials, you create new buildings. Also, four of a kind in a 2 x 2 grid sometimes yields a new, larger structure. The eight icons represent different elements. The heart builds a house, while the graduation cap yields a statue of Dr. Panda (a beloved character in this franchise of apps). Not surprisingly, the icon of a road builds roads, which automatically curve and crisscross as you place them on the grid. The balloon icon creates a playground and the leaf delivers a garden of flowers. The water icon digs out the ground and fills it with water. The coin builds a restaurant, and the lightning bolt creates a wind turbine. On this toolbar is also an icon of a shovel, which can remove any structure you no longer want. While the basic buildings are exciting to see, the real fun comes from experimenting to see which building materials can be combined to create something new. Every time you discover a new building, you see confetti; and the directions for replicating this structure are added to your in-app Hoopa's Building Book. This book also shows you the structures you have yet to unlock, although the recipe for building them is not revealed. Hoopa City 2 is the sequel to Hoopa City, and it distinguishes itself from the original in two major ways. The buildings appear in 3D, and each can be explored from the inside! The app makes it easy to rotate and zoom in and out of buildings for a closer look. To explore the inside of a building, you pick up a citizen of Hoopa who is walking by (or open a drawer holding characters at the bottom of the screen) and place him or her at the building's doorway. The roof of the building lifts off and you and the character can then play inside. Some buildings have things to do, such as turning on the TV in a house or putting on a costume in the Natural History Museum. You can even have a character ride on the T-Rex skeleton displayed therein. 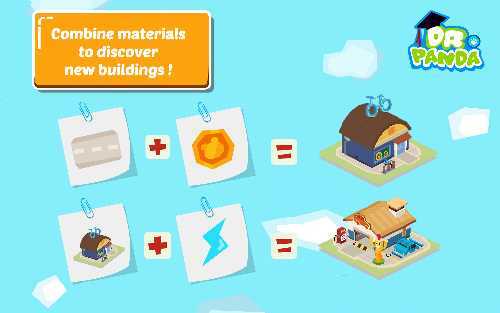 Hoopa City 2 is a spectacular app for teaching kids about city-building. It helps expand their knowledge of cities by introducing many new buildings beyond what kids might know. The app also provides a canvas on which to explore urban planning. How do you build over water? When should a train system go underground? How should streets and railways be laid out? How many parks do you need? Another real plus is that Hoopa City 2 encourages kids to be creative, logical, and systematic as they explore how to unlock all the 60 buildings. It is exciting to unlock a new building, and the Building Book keeps you motivated to unlock more. Also good is the app's ample supply of digital surprises. These hidden surprises will charm your kids and motivate them to look for more. 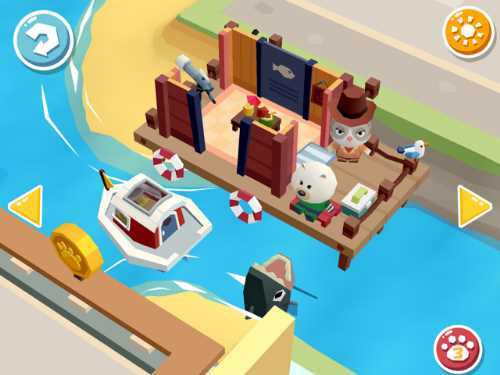 For example, at the fishing dock, kids can put a character in a boat or they can tap on the fins swimming in a circle, and up pops an open-jawed shark! 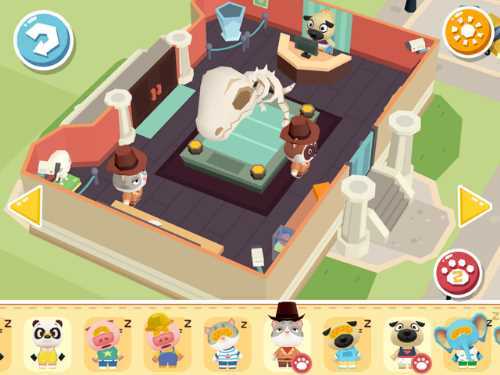 These surprises coupled with the ability to move characters in and out of the buildings, encourages kids to use this app to tell their own stories of what is happening to the citizens of their town. With the ability to create and save over 20 cities, kids can try lots of different urban designs. And the cities can be viewed in daytime or nighttime mode. Hoopa City 2 is a masterpiece of app design for kids. It is this generation's Sim City, with the added benefit that it's accessible for younger children. Hoopa City 2 will appeal to all kids with its simple tools, charming inhabitants, and silly digital surprises hidden throughout the cities. Because you don't need an Internet connection to play this app, Hoopa City 2 is great to introduce while traveling with kids. Hoopa City 2 is a simulation game that should be a part of any app library for kids ages 5-10. 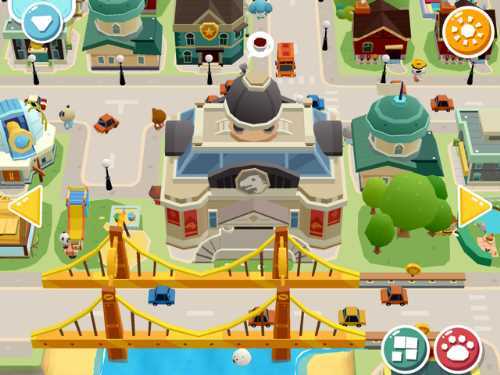 If your kids are into building games, check out our recommended lists of Super City Building Games and Engaging Engineering Apps for Kids. This Hoopa City 2 app review was written by Jinny Gudmundsen.